Spanish banks have cause to remember with gratitude how, during the choppy years of Europe’s financial crisis, it was profits from subsidiaries in Latin America that helped keep them afloat. So today, as retail banks across Latam face an economic storm of rising risk and cash-strapped account holders, Spanish banks appear ready to increase their commitment to a region that recently threw them a lifeline and with which they have historic ties. But big US and UK banks, which only recently had big ambitions for Latam, are responding to the region’s economic travails by heading for the exits, triggering a bout of dealmaking. Santander, the biggest Spanish bank by assets, is eyeing up the Latam retail operations of New York’s Citigroup. In February, Citi said it would offload retail banking and credit card operations in Argentina, Brazil and Colombia, valued at about $6bn. It follows Citi’s agreed sales of its operations in Peru, Panama and Costa Rica to Scotiabank of Canada, and of those in El Salvador, Guatemala and Nicaragua to local institutions. Mexican pay-TV operators Televisa and Megacable have pledged to end their monopolistic practices in a plan submitted to the country’s Federal Telecommunications Institute (IFT), according to local press. The IFT agreed to close its probe after the companies promised to abide by a series of mechanisms put in place to ensure competition. The agreement comes after Megacable was fined MXN 33.5 million and Televisa’s unit Cablevision MXN 8.73 million back in February 2014 on the grounds of collusion in the distribution of pay-TV and triple play services to consumers in the state of Mexico. America Movil has expressed interest in the possibility of acquiring assets in Argentina’s state-owned communications operator Arsat and Buenos Aires-based cable company TeleCentro, according to local press reports. The billionaire owner of the Mexican telecoms giant, Carlos Slim, held a private meeting with Argentine president Mauricio Macri to assess investment opportunities in Arsat, which was recently entrusted with bringing low-cost internet access to 1,200 localities throughout Argentina. The deal could see America Movil acquiring a stake in the Refefo Federal Fibre-Optic Network, plus capacity on the Arsat-2 satellite. Although America Movil is already present in Argentina via its Claro and Telmex Argentina subsidiaries, it cannot provide pay-TV services under the provisions of the Broadcast Media and Telecommunications Law. However, the acquisition of TeleCentro could pave the way for the introduction of quad-play services in the short term, said the report. NII Holdings, which operates under the Nextel brand in Latin America, reported net subscriber losses of 273,000 for the first quarter, attributed above all to the challenging economic conditions and more intense competitive environment in Brazil. Consolidated operating revenues came in at USD 227 million, with an adjusted OIBDA loss of USD 8 million and an overall net loss of USD 36.6 million. Nextel Brasil’s average monthly service revenue per subscriber (ARPU) was USD 16 in the first quarter, down from USD 23 a year earlier due above all to a 37 percent decline in the average value of the Brazilian real. Overall churn for the quarter increased to 4.34 percent from 3.15 percent a year ago due to increases in both 3G and iDEN churn. Total subscribers were 4.02 million at the end of March, down from 4.38 million at the end of Q1 2015. NII closed the sale of its Nextel Mexico business to AT&T for USD 1.875 million last year and Argentina’s new telecoms regulator Enacom finally approved the sale of its remaining 51 percent stake in Nextel Argentina to Cablevision at the end of the quarter after it divested a 49 percent stake in the operator last September for USD 178 million. TIM Brasil has replaced its CEO Rodrigo Abreu with Stefano De Angelis after reporting first quarter net income down 59.7 percent to BRL 127.9 million compared to BRL 317.4 million a year earlier. Describing the first three months of the year as a “tough” quarter, the Brazilian operator also reported net revenues down 15.3 percent to BRL 3.85 billion compared to BRL 4.55 billion a year earlier, with a 14.3 percent rise in fixed failing to offset a 9.2 percent decline in mobile. EBITDA fell 16.6 percent to BRL 1.121 billion, affected by a number of factors, including Brazil’s worst recession in decades, costs to reduce personnel and provisions for customers’ unpaid accounts, which rose 26 percent year on year. However, ARPU was up 3 percent year on year, confirming the positive trend started in the previous quarter. The customer base reached 67.3 million at the end of March, down 11.2 percent year on year, of which 53.7 million were pre-paid (-14.4%) and 13.54 million post-paid (+4.1%). The number of 4G customers passed 9 million at the end of the quarter, accounting for nearly 14 percent of total subscribers. TIM remained the market leader in terms of 4G coverage, expanding its network to 439 cities or 60 percent of Brazil’s urban population by the end of the quarter. However, Capex declined 23.1 percent year on year to BRL 710 million, attributed to tougher and longer negotiations with network equipment vendors. In a separate statement, TIM Brasil confirmed that its board of directors had appointed Stefano De Angelis as its new CEO, replacing Rodrigo Abreu, who has been at the helm for three years. The confirmation comes after Giuseppe Recchi, chairman of controlling shareholder Telecom Italia said last month the board was considering management changes at TIM “as you do when a company enters a turnaround phase.” De Angelis has been at Telecom Italia since 1997 and is currently head of the company’s consumer business unit. The announcement of Ford’s decision to build a new plant in Mexico created a political firestorm this month, yet it forged ahead anyway. The automaker has been in the political spotlight from the left and right since last summer when it said it planned to move production of the Ford Focus from Michigan outside of the U.S. by 2018. The reaction on Tuesday was swift and predictable after Ford said it would invest $1.6 billion to build a new plant in Mexico on the day voters headed to the Wisconsin polls in a heated presidential primary. Ford — which says it wants to increase profit on small cars — was undeterred. 1. Mexico’s numerous free-trade agreements provide flexibility: We’re not talking just about the North American Free Trade Agreement, which was signed into law in December 1993 by President Bill Clinton. NAFTA is just one of several trade agreements Mexico has with other countries. In addition to NAFTA, Mexico has 10 other free trade agreements covering 43 countries, according to ProMexico, an economic development arm of the Mexican government. This gives Ford the flexibility to ship cars from Mexico to the U.S., Canada and to countries in South America. 2. Efficient logistics: Automotive executives also say Mexico’s ports and rail systems make it easy to export cars out of the country. Joe Hinrichs, Ford’s vice president and president of the Americas, said Mexico’s robust transportation logistics are among the reasons Ford is expanding in Mexico. 3. Lower wages: Ford’s labor costs in Mexico have always been much lower than in the U.S.
U.S. autoworkers made, on average, just under $30 per hour compared with just more than $5 per hour in 2014, according to Kristin Dziczek, director of the labor and industry group at the Center for Automotive Research in Ann Arbor. In November, the UAW pushed Ford as well as General Motors and Fiat Chrysler Automobiles to agree to essentially eliminate an entry-level wage structure put in place in 2007 that lowered the automaker’s U.S. labor costs and led to the addition of thousands of jobs in the U.S.
Over time, all of Ford’s entry-level workers in the U.S. will see their wages increase to about $29 per hour. While the UAW has touted the raises as a huge win for U.S. workers, it also widens the labor cost gap with Mexico. Hinrichs declined to comment directly on the impact of that new contract when he spoke with the Free Press on Tuesday but did acknowledge that “labor costs” were among the factors. Ford is hardly alone in its decision to invest more in Mexico, and Ford cannot allow political pressure to interfere with its ability to compete with other automakers that are also expanding in Mexico. In recent years, General Motors, Honda, Hyundai, Nissan, Mazda, Toyota and Volkswagen have all announced plans to either expand existing plants or build new ones in Mexico. Fiat Chrysler Automobiles also has said it is considering an expansion of its production there. Currently, four other automakers produce more vehicles in Mexico than Ford. They are: Nissan, GM, Fiat Chrysler and Volkswagen Group. 5. Existing presence in Mexico: Ford has been building cars in Mexico since 1925, and it’s been working pretty well. 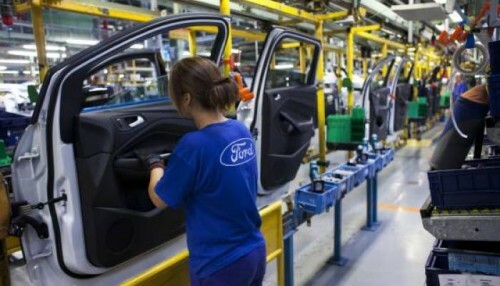 Ford already operates two assembly plants, two stamping plants and an engine plant in Mexico. It builds the Fiesta, Fusion, Fusion Hybrid, Lincoln MKZ, Lincoln MKZ Hybrid, four-cylinder and diesel engines in Mexico, and the quality of those products has long been on par with its American-made products. 6. Still committed to the U.S.: It’s not like Ford is pulling up stakes and moving to Mexico. The automaker is still investing heavily in the U.S., and It’s worth noting Ford’s talking points on this issue. Last year, Ford built 2.5 million cars and trucks in the U.S. — more than any other automaker. Since 2011, Ford has invested $10.2 billion in its U.S. plants. And over the next four years, will invest $9 billion more. That investment is expected to create or retain 8,500 U.S. jobs. Last year, Ford invested $168 million at its Ohio Assembly plant to build heavy-duty trucks at that plant that were previously made in Mexico. The investment helped to keep more than 1,000 hourly workers employed. The UAW and Ford negotiated the move of the truck production to Ohio way back in 2011, as part of their last round of contract talks. This post first appeared on Detroit Free Press. 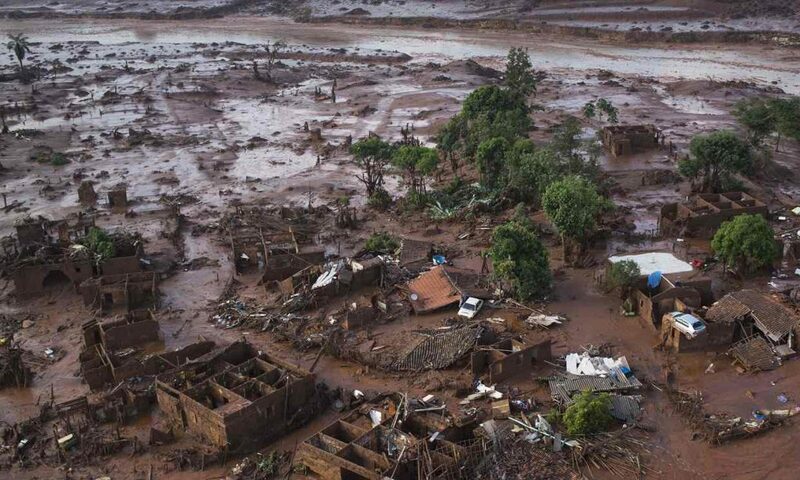 Federal prosecutors in Brazil have filed a 155bn-real ($43.5bn) civil lawsuit against iron miner Samarco, and its owners Vale SA and BHP Billiton, for the collapse of a tailings dam in November that killed 19 people and polluted a major river. The lawsuit, which is also against the two states impacted by the spill and the federal government, is the result of a six-month investigation led by a task force set up after the disaster, prosecutors said in a statement. Vale said it had not been notified of the suit and was therefore unable to comment. BHP did not immediately respond to a request for comment. The total damages, they said, were calculated based upon the cost of the Deepwater Horizon oil spill in the United States. BP’s total pre-tax charge for that spill reached $53.8bn. Prosecutors demanded an initial payment of 7.7bn reais. The civil action is separate from the lawsuit that Samarco, Vale and BHP settled with Brazil’s government in March in which the companies would pay an estimated 20bn reais for damage caused by the spill. Federal and state prosecutors did not form part of that settlement. Venezuelan state oil firm PDVSA has issued at least $310 million in debt to companies including General Electric Co as it negotiates private issuances to pay off its suppliers, industry sources told Reuters, stretching the finances of a company that bondholders already worry is on its way to default. An oil tank reads “Fatherland, socialism or death” in Ameriven company, part of the Complex Jose in Anzoategui state, 200 miles East from Caracas, Venezuela. The complex, that make refined crude from the heavy oil of the Orinoco Belt, is a joint venture between Venezuelan state owned PDVSA and the foreign companies Chevron, British Petrolum, Total and Statoil. May 1st 2007 Venezuelan President Hugo Chavez changed the stock holding of the complex to make PDVSA ,with 60 percent of the stocks , control the participating companies. The securities are not bonds but offer rights similar to those enjoyed by bondholders, and at least one issue offers dispute resolution via the Paris-based International Chamber of Commerce, according to one of the three sources, who cited a term sheet. This means that if PDVSA defaults, investors holding their bonds may find that there are more creditors competing for compensation than they had originally anticipated. The overall negotiations on private debt issuance, which were confirmed by seven sources, come as weak oil markets and an unraveling socialist economy have fanned concerns PDVSA will be unable to make nearly $5 billion in bond payments between now and the end of the year. PDVSA and Venezuelan President Nicolas Maduro insist they will meet all debt obligations and dismiss default rumors as a right-wing conspiracy. In addition to the $310 million, a package of $1.5 billion in such securities maturing in three to five years is being discussed as a way of settling debts with small and medium-sized oil services firms, according to one of the sources, who was briefed on that proposal. PDVSA is struggling to prevent oil services providers from stopping work in Venezuela in protest over billions of dollars in unpaid bills. The company has worked with banks including Deutsche Bank AG to structure fixed-income securities such as promissory notes that can be sold to investors, according to one of the sources, a local trader who saw documents outlining the proposal. 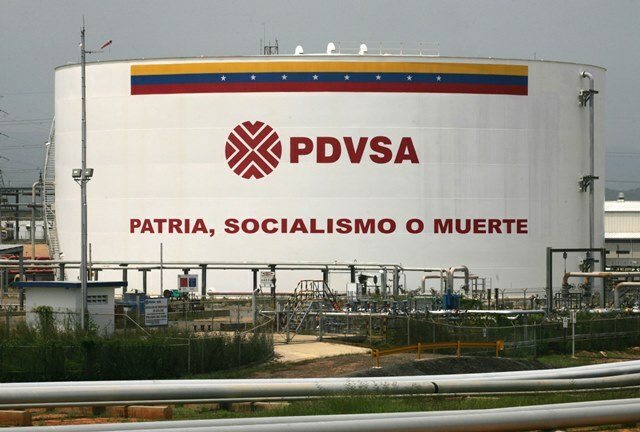 “PDVSA has been offering promissory notes as well as other types of notes and financial instruments to settle debts with providers,” said another of the seven sources, who was also involved in one such operation. Read the full story at Petroleum World. Latin American currencies and stocks fell sharply on Tuesday, erasing part of recent gains after weaker factory data in China dragged commodities prices away from four-month highs. Brazil’s Bovespa stock index dropped nearly 2 percent and the broader MSCI Latin American stock index tumbled 3 percent, while currencies dropped more than 1 percent against the U.S. dollar. Activity at China’s factories shrank for the 14th straight month in April as demand stagnated, a private survey showed. China is a major buyer of Latin America’s raw materials, from oil to Brazilian iron ore and Chilean copper. Shares of Brazilian miner Vale SA, the world’s largest iron ore producer, fell nearly 5 percent as commodities prices slipped 1.3 percent. Losses in the Brazilian real were intensified by ongoing central bank intervention. The bank offered reverse swaps for a third consecutive day on Tuesday as part of its broader efforts to curb currency gains. “All emerging currencies are weakening today. The central bank (intervention) is just the icing on the cake,” said Pedro Tuesta, an economist with research firm 4Cast. Tuesday’s drop in Latin American markets contrasted with a strong first quarter, in which equities and currencies gained steadily on signs of renewed central bank efforts in the United States, Japan and Europe to boost economic growth. See the full article on Reuters. 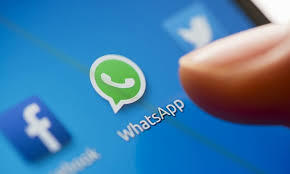 A judge in the Brazilian state of Sergipe on 2 May ordered the five main mobile operators to block access to Facebook’s WhatsApp for 72 hours, reports Reuters. The decision affects WhatsApp’s more than 100 million users in the country. The reason for the order is not known due to legal secrecy in an ongoing case in the Sergipe state court. In a statement, WhatsApp said the company is “disappointed at the decision” after doing the utmost to cooperate with Brazilian tribunals. Mobile operator TIM Brasil responded to the ban on WhatsApp by offering customers free SMS. In a statement on its Facebook page, TIM said it would not charge for SMS while WhatsApp is blocked, in order to underline its commitment to customers.